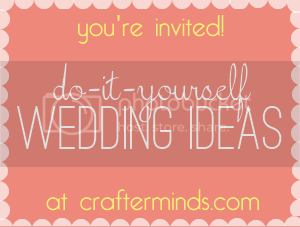 Some of our crafty blogging ladies joined together today to bring you some DIY wedding ideas. Whether you are planning a real wedding or just one on pinterest, be sure to visit all the great blogs on the linky party below. Spread the word and tell your friends!